– The writing style. I love this writing style. It’s super personal and dark and lets you get in Nathan’s head so very well. There are some stylistic choices, like playing with the font size or not having any caps, but that’s only at certain points in the story and I feel like they imply Nathan’s mindset so perfectly. I’ve never read any other book where I feel like I’m so into the main character’s head as this series. – The moral ambiguity. The question of what is good and what is bad is constantly present in the story and the answer is never fully clear. And I love that. This story will have you loving characters while not agreeing with some of the dark stuff they do. And it will have you hating characters, but at the same time understanding their actions. – Nathan and Gabriel. Aww man, these two characters. Separately they are these two completely different, but super lovable and intriguing characters.But put them together and you have fire. I love them both so much and I ship them even harder. Yes, technically there is a love triangle, but don’t run away just yet. Even though the story revolves around finding Annalise, the third party in this particular triangle, it never felt like a triangle to me. Because the end-game is so very clear. Nathan/Annalise feels insta-lovey, fake and shallow, while Nathan/Gabriel is developing slowly and is honest and deep. – Nathan and Marcus. This twisted father/son relationship has been intriguing me since book one and I was glad to see this explored just a bit further in book two. – The ending. The ending to this book was a perfect fit to the rest of the story. It’s dark, bleak, violent and so morally grey. Is it a perfect book? No. I can understand it’s not everyones’ cup of tea. There were just a few things that kind of bugged me. One had to do with the development of Gabriel’s feelings for Nathan. Now, while we’re in Nathan’s head we see his side of the story and it is PERFECT. But for once, I wish we had a few chapters from Gabriel’s POV. I would have loved to see things develop some more from his side too. Though yes, this would take away a bit from the awesomeness that is being inside Nathan’s head so much. I’m conflicted. Is there a novella out there from Gabriels’ POV? I don’t normally read them, but in this case I so would. A second thing is the rather stereotypical second character Nesbitt. I loved Nesbitt and he did become one of my favorite characters, but his “Mate” and “Crickey”‘s were a little over the top. We get it, you’re Australian! No need to hit us over the head with all these blatant stereotypes. But it did get better as the book went on. Overall though, I loved this book and I am in love with this series. I’d recommend it to everybody. I am both super pumped and super scared to read book three though. Knowing the style, darkness and bleakness of book one and two, I’m pretty sure book three will tear my heart out. 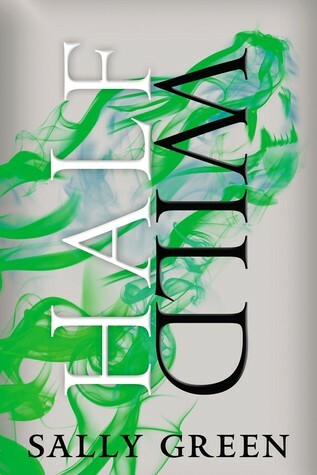 Have you read Half Wild? What did you think about it? I’ve been meaning to start this series for so long! I’m glad to see you enjoyed this second instalment. I hope you love book 3 as much as you loved this one!